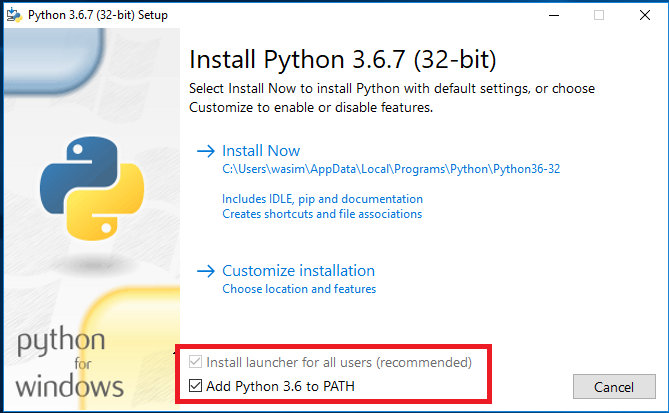 How to Set a cookie attribute Samesite value in PHP ? 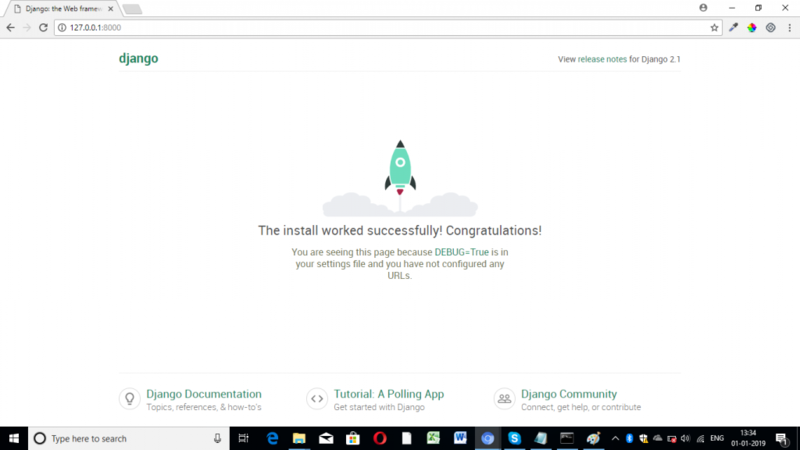 See how we can check a cookie is samesite, we can do with the help of chrome browser as we know almost every browser have the inspect element option, within inspect element tab we have the application section to check cookie see below image. 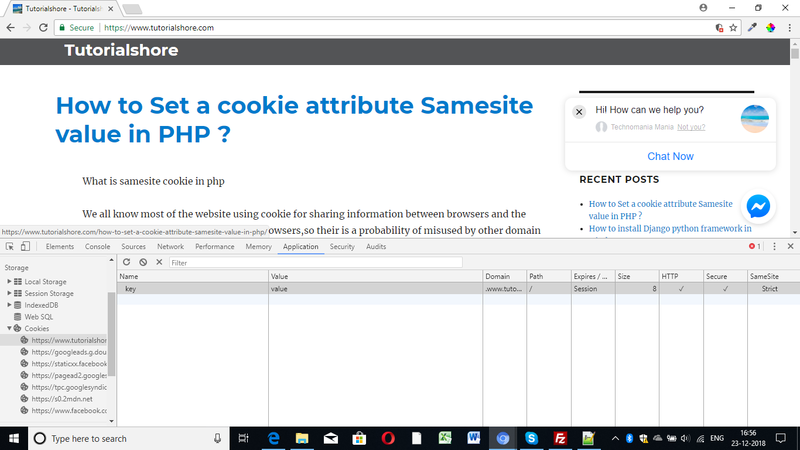 Author adminPosted on December 17, 2018 December 23, 2018 Categories Others2 Comments on How to Set a cookie attribute Samesite value in PHP ? How to make a cookie secure and httponly in PHP ? As we know Cookie is often used for identifying user data, when user opening a website, cookie stores information about the user in the browser, Each time the same system requests a page with in a same browser, it will send the cookie too.So when we are considering about the security it is a programmer duty to make it more secure when it exchanging between browser and server,nowadays it is easy to access other website cookie and get the flow of the website using that cookie information.So here am going explain you how to make a cookie secure and httponly in PHP .we have lot of method to accomplish this task,lets have a look on it. 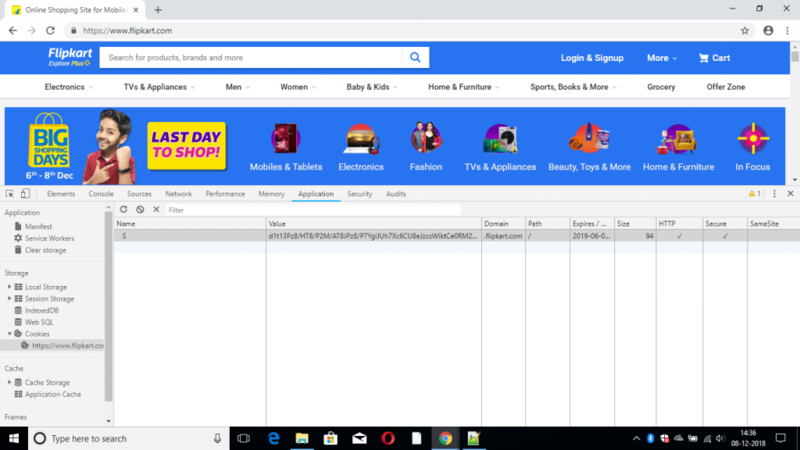 See how we can check a cookie is secure and httponly, we can do with the help of chrome browser as we know almost every browser have the inspect element option, within inspect element tab we have the application section to check cookie see below image. Author adminPosted on December 4, 2018 December 8, 2018 Categories OthersLeave a comment on How to make a cookie secure and httponly in PHP ?